Have you always wondered where your favourite Instagram bloggers and celebrities get their clothes, jewellery, shoes, etc? 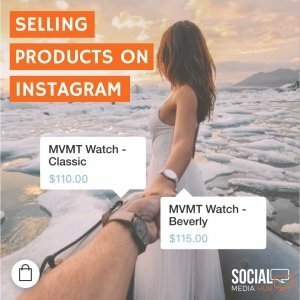 Or are you thinking about selling products on Instagram and don’t know how? Well look no further because with Instagram’s new ‘shoppable posts’ you can advertise and find products at the touch of a button. The new update allows the user to attach a direct link to an item they are wearing on a regular or story post, making selling products on Instagram easier and more effective than ever. Instagram says 300 million of its more than 500 million daily users interact with Stories every day! So, if you are a business or brand, or simply an individual interested in selling products on Instagram, or just want advice regarding e-commerce in general, why not contact us for a free Social Media audit.